Our month of 24-7 prayer starts at 9am on Saturday morning (1st Feb). There are still quite a few slots available on Saturday and Sunday, and through the early hours of the night during the week. You can see what is available and book slots here. Please book some time in the prayer room if you haven't already. It's going to be really exciting to see what God does through the month as we commit oursleves to seeking Him. I've got a mix of personal and community things I'm wanting to pray through, as well as just looking forward to carving out time to spend alone with God. Also each Wednesday through February at 8pm we're going to gather to pray as a community. On the 5th, 19th and 26th we're gathering at the Kerith Centre and on the 12th at Sandhurst School. Please plan to come along to all 4 if possible. On the 26th we'll be joined by Easthampstead Baptist Church and Warfield Church as we pray together for God's kingdom to come. In my electronics world one of the companies I've worked for produced video conferencing equipment. That was about 20 years ago, and in those days to do a video conference between two people involved tens of thousands of pound worth of equipment, incredibly expensive multiple telephone lines and trained operators at both ends to try and get it all to work. How different it is now where with a cheap smart phone and a free wifi connection a child can in seconds set up and be chatting on video to somebody on the other side of the world. We can take it all for granted, but when you stop for a moment to think about all the technology required to make that work it really is quite remarkable. I use Skype in many different ways. To keep in touch with our son Zak when he's at university, to chat to Catrina and the family when I'm away, to catch up with other pastors in places like Zambia, Serbia and Albania, to talk to our teams when they're away in other nations and to catch up with friends. I read a quote recently that "the most special things in life are never things". 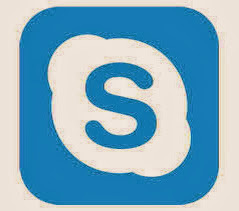 The most special things in life are nearly always people, created as a we are for community, and Skype is just a brilliant way of connecting us with those special people, even when we may be thousands of miles apart. 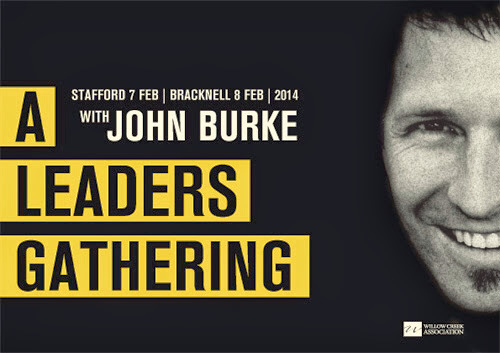 Having chatted with Willow Creek UK they've agreed to give us a special rate for anyone from Kerith wanting to attend the John Burke conference on Saturday 8th February from 9am - 1.30pm. You can book in for £25 which is a considerable saving on the full delegate rate. To book in at the Kerith rate please phone the Kerith Centre reception on 01344 862699 between 9.30am and 5.00pm Monday to Friday to give your details and pay. If you're not part of Kerith then you can still book in via the Willow UK website. Hope to see you there for what will be an inspiring morning. Our great friend John Kirkby is going to be with us at all 4 meetings on Sunday. 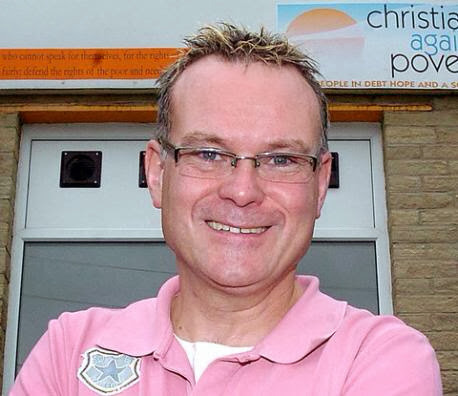 John is the Founder and International Director of Christians Against Poverty, the Bradford based charity we partner with for our debt counselling centre, CAP money course and CAP job centre. He's also one of the most passionate people I've ever met, especially when it comes to the local church and God's heart for the poor. John is going to be completing our SOLD series, and having heard a bit of what he intends to say I think it's going to speak directly into where we are as a community. If at all possible please don't miss hearing him! Our next All Leaders Meeting is on Tuesday 28th January, from 7.45-9.30 pm. Normally this would only be open to Kerith leaders, but given the changes currently taking place on out staff team I want to open this meeting up to anyone who would like to come. I'll explain in more details why the changes are happening, as well as answering any questions people may have. I'll also talk about other things coming up in the life of Kerith, especially around how we are looking to get better in 2014. Normally we'd hold these meetings in K2, but given the number of people who came to the last prayer meeting we've moved it to the Kerith Centre balcony. I know this isn't ideal for anyone who can't make it up the stairs but there isn't another space we can use - we will arrange a camera feed to the TV in reception for anyone who can't get up the stairs. We'll also serve tea and coffee at the start. Finally parking may be an issue. If you can car share that would really help - we'll also attempt to get the surgery car park to give us some more space. As we look to get better at what we do in 2014 one of the areas we’ll be focussing on is that of volunteering. Every Sunday a huge team of people serve to make our Sunday meetings happen. 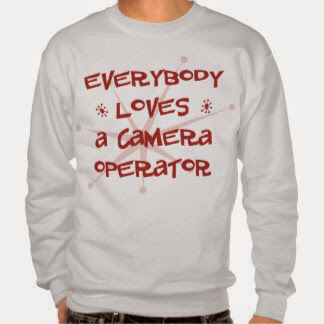 One of the areas we need to grow this year is the camera team. What we do at the moment helps those in the Kerith Centre balcony, and the areas around the building such as reception and the room for nursing mums, engage with the meetings. As the church grows this will become an even more significant ministry area, as in the future will be live streaming our meetings to Sandhurst (or from Sandhurst to Bracknell), to the internet and who knows where else! If you have an interest in photography or video cameras, or just an eye for what looks right on screen or in a photograph, we’d love to give you the opportunity to be trained to use the church camera equipment. Following this, if appropriate, we’d love you to take the next step and join our team to help facilitate all the great Sundays and events that happen here at Kerith. If cameras are not your thing but you’re a clear communicator, have an eye for what looks right on screen and can work well under pressure maybe you’d like to look into operating our vision mixer. You’d be responsible during meetings for choosing what shots or images go on screen in the auditorium and the plasmas around the building. The training will all take place on Thursday 30th January from 7.45-10.00 pm in the Kerith Centre. For more information contact creative.arts@kerith.co.uk. If you're at all interested please come along as this is a great way both to serve and to meet new people. One of our focusses this year is getting better at prayer. I wanted to remind you of a couple of opportunities to do that. This Wednesday evening (15th January) is our monthly church prayer meeting at 8pm in K2. There is some church news I want to share in the context of the prayer meeting so please get there if you possibly can to hear it. Before that prayer meeting the social justice team will be meeting to pray at 7pm in the K2 lounge. I'll be at both so hope to see you there. Then in February we're going to have a month of 24/7 prayer, planning to pray through the whole of February. We also be meeting as a community on each of the Wendesday evenings in February, meeting in Bracknell on the 5th, 19th and 26th and Sandhurst on the 12th. We'll have more details on Sunday, but in the meantime please out the Wednesdays in your diary and plan to be there if you possibly can. 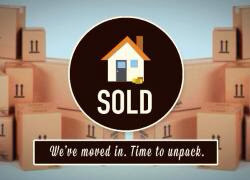 We started our latest series "Sold" on Sunday - looking at areas of life which God promises to us as followers of Jesus, but which we need to take hold of if we are to make them truly ours. If you missed it then the podcast is here. One of the keys to laying hold of those areas is meditating on the Bible, and I suggested some verses to meditate on in relation to some different areas of life we might want to make ours. Why not use one of these verses as a beginning point for mediating. As you're doing that listen for, and be obedient to, whatever God says to you through it. I'd love to hear how that goes for anyone, or any other reflection on how God is at work in your life. 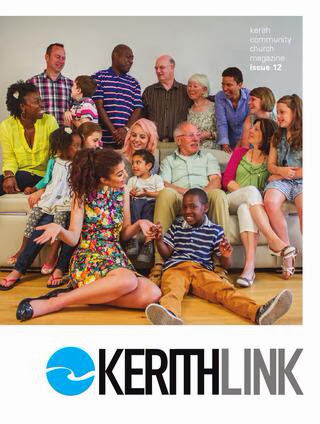 The astute amongst you will have noticed that we didn't give out a new LinK magazine in December (for anyone who has never heard of LinK it's the Kerith magazine we've done termly for the last 4 years - you can catch up on all the past issues here). As we reviewed LinK, and got feedback from people reading it, we realised it was serving the first purpose, as a place to tell stories, really well. However, in our rapidly changing world trying to have one place where we talked about everything coming up for the next 4 or 5 months wasn't working so well. We're therefore going to change what we do. LinK will carry on, but primarily as a way of telling stories - as Rachel Hickson said on Sunday communicating the message which has come through our mess. 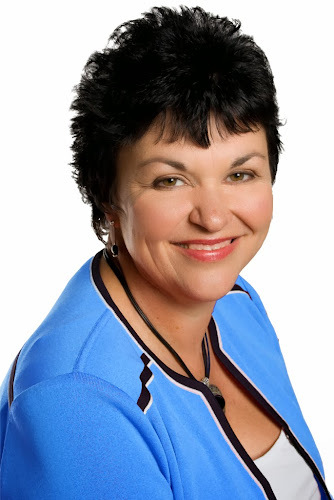 Suzanne Whitton will continue to led the amazing team of volunteers producing LinK, but it will appear less frequently and probably have more pages. This will be a great resource, not only for us to be inspired by but also for us to give to other people. To keep up to date with all the events and courses running at Kerith Community Church the Communication team are launching eReveal. This is an interactive email will be sent to you monthly with dates and times of our regular courses and one off events coming soon to Kerith. There will be links to the website, allowing you access to the relevant pages to find more information and sign up for courses easily. The first one of these went out at the beginning of January. If you are already in our CCB* system you should have received the first one. If you're on CCB and didn't get it then try checking your spam folder - that's where mine ended up! If you aren't on CCB then you can sign up here, or follow the link on the ‘What’s on’ page of our kerith website. Finally we will have some paper copies of eReveal at the Kerith Centre reception for anyone who isn't on email. If you know anyone in that category please let them know so they can continue to be kept updated. *CCB stands for Church Community Builder – an online tool to connect with others in our church. If you're new to Kerith CCB or have forgotten your password, register a request to join (it takes about a week for us to process these). There are easy to use instructions and your privacy is guaranteed. Please read more and sign up here. On the morning of Saturday 8th February our good friend John Burke is going to be speaking at a Willow Creek seminar we are hosting in Bracknell. It would be true to say that John, through his books and more recently through us getting to know him personally, has been on of the primary influencers of the culture of Kerith. When I first read his book "No Perfect People Allowed" I realised he was not only describing many of the challenges we were facing at the time as a church, but also helping us to chart a course through them. His phrase "come as you are, but don't stay that way" describes much of the ethos of what we are trying to achieve. And the idea that we can't change anybody - all we can do is create an environment, the soil, where God can do what only He can do - shapes much of our leadership and disciple making thinking. The morning runs from 9am through to 1.30pm, and is hopefully going to be a small enough gathering that we can get to interact with John, his ideas and his experience. Several people have asked me whether they can come if they're not leading a church. Absolutely. John has so much to teach all of us about how we build churches, ministries and small groups which genuinely impact the culture rather than just gathering a holy huddle. If that's your heart to I'd strongly encourage you to be there. All the details, including booking details and loads of videos of John and Gateway, the church he leads in Austin Texas, are on the Willow website. We were hoping John would be able to speak at Kerith on the Sunday, but sadly he's flying off to his next engagement on the Sunday morning, so if you want to catch him this is your opportunity! In 2014 our Creative Arts team have been tasked with getting better at sourcing great ideas. One of their key strategies for doing this is to create a place where they can gather ideas from the wider church on subjects such as sermon series, music, drama, events, stage design etc. 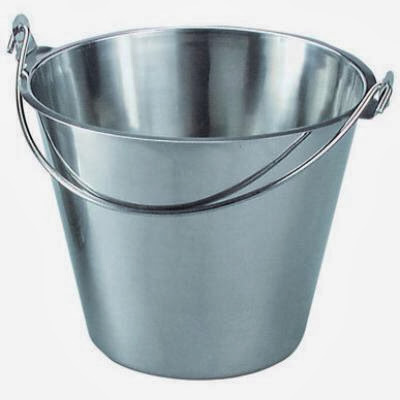 Three times a year, Kerith Creatives are going to host an event called a “Bucket Meeting” where anyone (that means you!) can come along and throw any ideas you’ve ever had about Kerith into the “Creative Bucket”. To start with, we’ll be specifically looking at Sundays and Events, but as time goes on, we’ll look to expand to ideas for other areas of church life. If you plan to come along, feel free to bring anything you’ve seen or collected that you think might be helpful, either in digital or print format (as long as it fits through the front doors! ), or just bring yourself and brainstorm as we chat. If you have ideas but are unable to attend, please send your ideas into creative.arts@kerith.co.uk before 13 January 2014. We’re really excited to gather a wider pool of ideas from you all and are looking forward to innovating together as a community. When iPhones and other smartphones first made their appearance, if you wanted to use your phone as a satnav you needed to spend £50 or more to buy the TomTom app which was pretty much the only satnav app available. That's all changed now with a whole host of free satnav apps, including Google maps and after quite a few false starts Apple's own maps app. Waze is another one of those many satnav apps, but what makes Waze different is that it relies on information provided by the community of people using it to make it better. So for instance as you're driving around it will spot if you're going slowly and use that information to help others find a quicker route. You can tell it if you're stuck in traffic because of an accident or road works. You can enter the price of petrol at local petrol stations so that other people can find the cheapest deals. 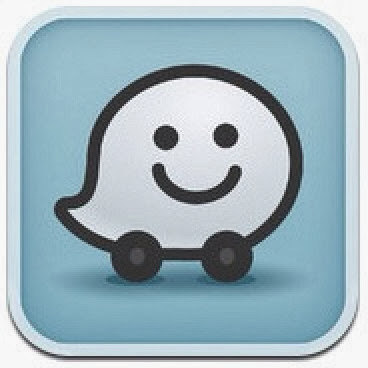 You can even see where other Waze users are around you and chat to them if you want. There's something I really like about the idea of taking a regular app, and using the power of a community of people using it to make it do something even more powerful. I'm sure there's a really good sermon analogy in there somewhere!